Life provides daily obstacles, both large and small: work obstacles, relationship obstacles, financial obstacles, mental obstacles, political obstacles. Well, happy Ganesh Chaturthi! 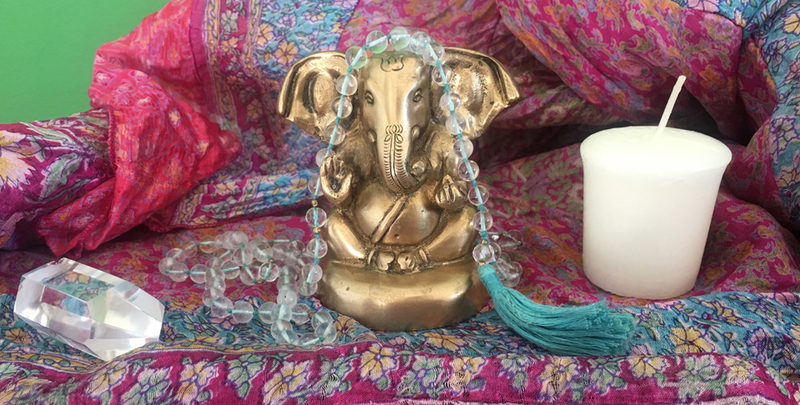 Ganesh Chaturthi, celebrated this year between Aug. 25 and Sept. 5, honors Ganesha, who, according to some stories, was created to put obstacles in the path of demons. A great way to observe this holiday is by meditating on obstacles and working toward the inner strength and courage to remove your own personal roadblocks. Cassandra Benning, owner of The Floating Lotus, does not subscribe to any specific religion or spiritual path. “I find celebrating many sadhanas or practices can bring you closer to the Divine and closer to different cultures,” she says. Why pamper yourself? Here are 5 reasons. Join us Sunday for Global Mala 2017!